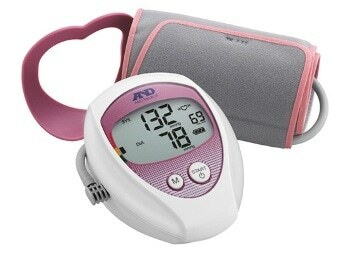 Ladies Automatic Blood Pressure Monitor, designed for woman its attractive design is backed up with accuracy and reliability, with all the typical A&D features. The UA-782, the Women’s BP, was designed for women and it includes all our latest features inside elegant external casing and cosmetics. We are sure that the friendly external design will make regular BP measurements at home more enjoyable for women. Therefore, having a blood pressure monitor handy for regular measurements can be a key factor in maintaining a woman's health.